Following up on this post, news came today that Southland has been renewed for a third season. Don’t talk to the aliens! Stephen’s a bit older than I, so he was probably raised on movies such as The Thing From Another World and Earth vs. The Flying Saucers, just as I was. Or maybe a viewing of To Serve Man was all it took. Regardless, I’m glad to see he’s absorbed the subtle lessons contained in these documentaries disguised as science fiction…. LINKS: Fausta is wary of aliens, too. You are a d8: You are the true adventurer! Dragons rescued, princesses slayed, and all that business while O Fortuna plays in the background. Your social calender is crammed with heroic deeds, and you’ve personally saved the world from ultimate destruction at least twice. You are reliable, perhaps a bit predictable, but overall a shining example of what happens when courage meets determination. Sign that man up for the gymnastics team, too! If you’re into roleplaying games, that is. Following a review at James Maliszewski’s Grognardia blog, I took a chance on the latest issue of Knockspell, a print and PDF quarterly journal from Black Blade Publishing for the “old school revival” or “retro-Dungeons and Dragons” segment of the hobby. From what I gather, BBP specifically focuses on supporting clones of first edition AD&D and the original three booklet D&D, such as OSRIC and Swords and Wizardry, respectively. Anyway, I’ve so far read only the adventures in the issue, but I’m very impressed. I was particularly taken with Jeffrey Talanian’s Rats in the Walls, an homage to one of my favorite H.P. Lovecraft stories. 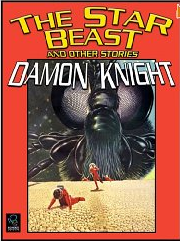 Dark fantasy at its best, it succeeded in capturing the feel of Lovecrafts’ Dreamlands or Clark Ashton Smith’s Zul-Bha-Sair, or the more modern works of Tanith Lee and Michael Moorcock. In fact, the setting screams out to be part of Moorcock’s Million Spheres setting. 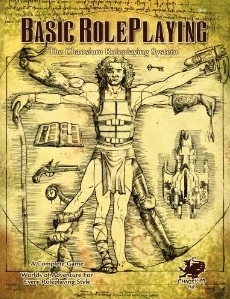 If I were to run this, I’d most likely use Stormbringer or WFRP 1E rules, rather than a D&D retro-clone. That’s not a knock on those systems, just a reflection of my own tastes. Knockspell is available as a $5 PDF or a $10 perfect-bound magazine. 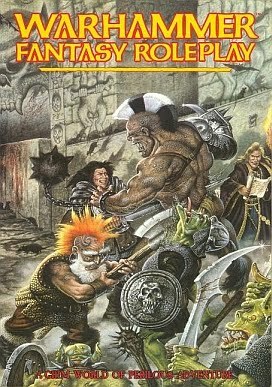 If you’re into retro-D&D games or looking for ideas for almost any fantasy system, give it a try. I bet you’ll like it.